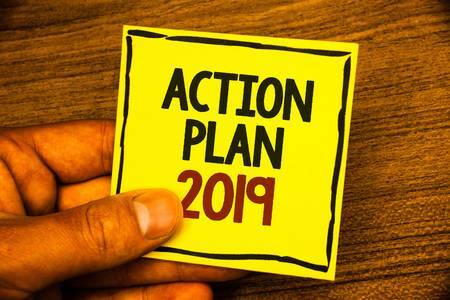 2019 Agenda: Ready for Change! On Thursday, January 24th over 100 people gathered in the Belk Chapel Rotunda in the name of Social Justice. There were men and women from all walks of life representing the diverse populations of Charlotte and the surrounding communities. They all came to find out how to become involved with the Stan Greenspon Center and its partners as they work for peace and justice in our communities. Everyone left with new understandings and plans for action. The program began with an overview of the successes the Greenspon Center has had during the past year in the areas of Affordable Housing, Criminal Justice, and Immigrant Justice. It was amazing to realize just how much has been accomplished by the efforts of such dedicated and passionate leaders and volunteers! After recognizing the progress made in 2018, the presenters quickly reminded the audience of the work yet to be done. The team identified four areas of focus for 2019 and laid out possible goals and partnership opportunities for each area. The Greenspon Center will continue to work in the areas of Affordable Housing, Criminal Justice, and Immigrant Justice and will add a new focus on Health Care Justice. Attendees broke out into smaller working groups and laid out actions plans crafted to accomplish success within 12 months. Listening to the different group conversations it was clear that this year is going to be filled with action. The people who attended the meeting last evening are passionate and purpose-filled. What comes next will be nothing short of amazing. Did you miss the meeting? No problem, just click below to get caught up. Do you want to be included in future emails and events regarding Social Justice? Send an email to tarneyd@queens.edu.